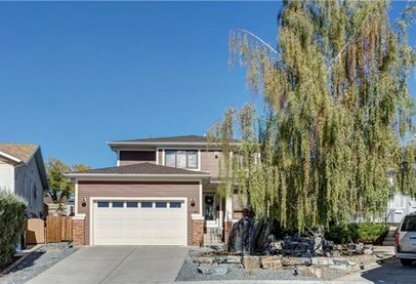 See the newest Deer Ridge homes for sale & Calgary real estate listings below. Deer Ridge is a housing community where residents can enjoy a touch of nature. The land is located in the south zone of Calgary, Alberta, Canada. 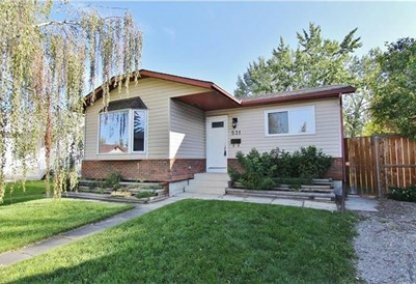 Discover just listed Deer Ridge neighbourhood properties for sale now! Schedule a guided home tour today with your Deer Ridge Calgary real estate agents. Deer Ridge housing market statistics: As of April 25, 2019 there are currently 10 properties for sale in Deer Ridge listed as active, with an average asking price of $324,850. The highest-priced property is $543,800; the lowest priced property can be purchased for $225,000. Deer Ridge neighbourhood listings have an average price of $287 per square foot, based on listings with 3.5 bedrooms, 2.2 baths, and 1,157 square feet of living space. Thinking of selling or buying a home in Deer Ridge Calgary? Call Justin Havre at RE/MAX First - 403.217.0003. Our community of Deer Ridge real estate agents will help you navigate the Deer Ridge housing market in Calgary. The community of Deer Ridge was established in 1978 but was attached to the City of Calgary earlier, in 1961. Ward 14 Alderman Peter Demong represents the neighbourhood in the Calgary City Council. Condominiums and apartments in the area are 10.5% and 36% of the total residential houses which are for rent, according to statistics from 2000. The median household income of the area was marked at $59,149 in the same year. The average home in Deer Ridge is priced at $316,520, while the average condo is about $244,100. The Deer Ridge community and its neighbors offer a plethora of urban amenities and shopping for families. It’s encircled by the city’s largest green belt, the Fish Creek Provincial Park. There are areas for recreational activities such as a swimming pool, outdoor skating rink, a lot of green spaces for community sports, a room for the local seniors program, and even child care. The neighbourhood is also very close to Lake Sikome, which is a man-made swimming lake open during the summer. Other great features of Deer Ridge homes for sale are that they're very near the airport, and that the Deer Valley Shopping Centre is at the northwest end of the community. Schools in the Deer Ridge community's area and close by its neighborhood include: Queensland Downs, Deer Run Elementary, Sam Livingston, Don Bosco, Wilma Hansen, Fairview, St. Matthew, Lord Beaverbrook, and Bishop Grandin. Deer Ridge also has access to quite a few pathways to the sports field, swimming pool, and parks. Thinking of buying or selling a home in Deer Ridge? Let our local real estate agents help guide you through the purchase of your next home, or to expertly negotiate the sale of your current home. As local Deer Ridge real estate agents, we're experts on the market dynamics unique to the Deer Ridge real estate market. We'll get to work for you today! Contact Justin Havre at RE/MAX First - 403.217.0003 to learn more about buyer or seller representation. Planning to sell your Deer Ridge home? Check out our free home evaluation, where you can instantly price your Calgary home price your Deer Ridge home online, in minutes!